Head north of downtown St. Louis and you may bump into a peculiar monument. A big rock, raised up on four levels of brickwork, sits near the intersection of Broadway and Mound Street in the Old North St. Louis neighborhood. Inconspicuous, this rock actually marks a significant site in St. Louis area history. This is where “The Big Mound” once stood, the largest of the Indian platform mounds that dotted the landscape where the city of St. Louis now stands. An extension of the famous Cahokia Mounds on the eastern side of the Mississippi River, these mounds were built by the Mississippian culture that thrived in this area between 900 A.D. and 1300 A.D. I first heard about this landmark on a recent guided bike tour of the Mound City Interpretive Trail, sponsored by Trailnet. A local historian named Harold was our guide, and his knowledge of St. Louis is extraordinary. As we rode, we’d stop often and he’d throw out great history facts and stories about the Indian mounds and nearby communities. At one stop, he briefly mentioned a mound that once existed on the St. Louis side of the river. He said a monument even still stood for it. I knew right away it would be a great topic for this blog. When the tour was over, I headed over the river and found the rock. I can’t believe I hadn’t noticed it before. I often bike up and down Broadway on history hunting rides. It simply never caught my eye. But back in 1850, you couldn’t miss what stood there. The mound stood approximately 30 feet high, extended about 150 feet, and had an oval shape. It had a flattened top that was about 15-18 feet wide. When St. Louis was initially settled by the French, it was called “La Grange de Terre”, which means “Earthen Barn”. It was later referred to simply as “The Big Mound” since it was the biggest of the twenty-seven Indian mounds that dotted the western side of the river. The image below shows an early survey map of the St. Louis mound group. Big Mound is circled in red. 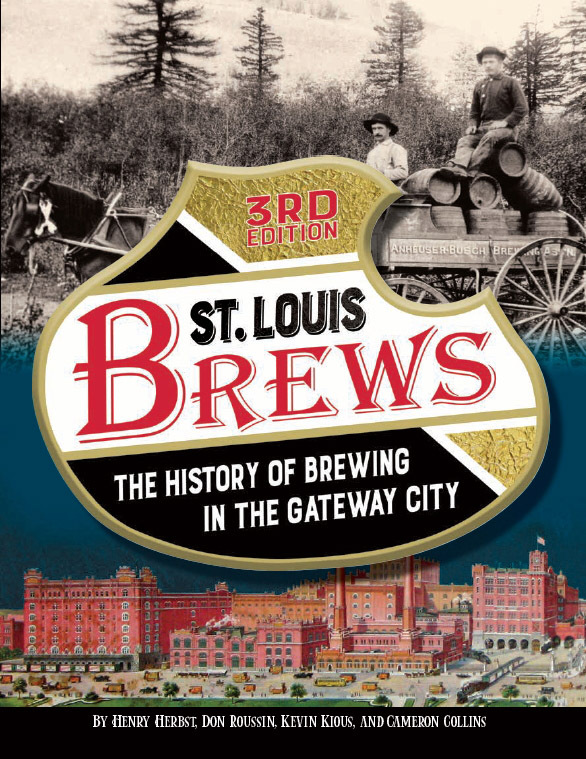 In the 1840’s and 1850’s, St. Louis began to grow rapidly. It was decided to level “The Big Mound”, and it finally came down in 1869. The dirt and clay from the mound was used as back fill and to make brick for a growing city. Sadly, very little (if any) archaeological work was done during its demolition. However, some early St. Louis knew enough to take some daguerreotypes of the mound before it disappeared for good. A granite boulder is all that remains today. It’s in an industrial part of St. Louis that doesn’t get much traffic. A plaque was once attached to the rock describing the significance of the site. It seems to have been stolen, but my guide Harold says it was intentionally removed to prevent it from being stolen. On the other side of the boulder, an attractive plaque of a Native American remains in place. Get down to see the rock while you can. The boulder is schedule to be relocated to make room for a new 700 million dollar Mississippi River Bridge, scheduled to open in 2014. Look east from the rock today and you’ll see the giant spires of the new bridge directly in front of you. The new bridge will pass directly over the former location of Big Mound. While you are at it, head south of downtown and check out Sugarloaf Mound. It’s the only Indian mound in St. Louis that still stands. As discussed in the About This Blog page, my idea for this blog is twofold. I want to find historical places in St. Louis that pique my curiosity. While I do it, I want to find places in St. Louis where I can get a good cocktail. Since this is my first blog post, I wanted to get a drink where I know I’d get a good one. Most of the time, that place is the Royale on South Kingshighway. It’s a pleasant bar with good food and a fun decor. It’s a good place for liberals like me to hang out and read a book (the lighting is great during the day). The Royale prides itself on knowing and serving classic cocktails. Their drink menu is filled with old-time drinks such as the Old Fashioned and the Sidecar. Each recipe has a bit of a unique Royale twist that I always appreciate. Not really wanting a unique twist with my Manhattan on this day, I still felt pretty confident that I could sit down order “a Manhattan cocktail” and get one perfectly done without any special instructions. And dammit, it didn’t happen. They gave it to me on the rocks. I believe a Manhattan should always be straight-up. The Manhattan rocks drinkers are ruining it for the rest of us. You should all be banished to a remote island. Still, my bartender had it pretty close (except for serving it in the wrong glass and filled with ice). He used about a 50/50 split of Rittenhouse Rye 100 along with Dolin Sweet Vermouth. It had a couple of dashes of Angostura bitters and a small lemon peel (which is a unique twist I do enjoy). It was stirred, which is also correct (Manhattan shakers also get banished to Bad Cocktail Island). I had ordered it straight-up, so I had no problem sending it back. My bartender then just strained it into a martini glass (sigh). But instead of a new lemon peel, he fished into the ice with his fingers and re-used the old peel. It was pretty disappointing for a place that even hosts special events for classic cocktails (at least give me a new lemon peel). The Manhattan was still very tasty, however. I’ll chalk it up as an off-day for the Royale. I’ll certainly be back. I am now starting to think the “drink” aspect of my history tours are going to be far more entertaining and informative than I initially thought. You shoud try out the Cocktail Club at Sanctuaria Wild Tapas. They have lots of good ol’ timey drinks plus some pretty creative and tasty concoctions. All are made by their award-winning mixologists! I definitely plan to head there soon. I’ve heard great things about Sanctuaria! Loved reading this post, Cameron. I know how much you love visiting Illinois, so can I assume you’ve been to the Cahokia mounds? It might be one of my favorite historical museums I’ve ever visited. I got chills reading about the culture and lived on the same soil over a 1000 years ago. If you do ever come this way, it would be fun to grab a drink with ya. I love the Cahokia Mounds site! Trailnet sponsored a bike ride recently that took us around the grounds and gave us some great history. And yeah, I need to get over there and get a beer with ya. Hope you are well, buddy. The big granite rock has a marker on it. Where was the boulder relocated to? It was relocated to make room for the new Mississippi River Bridge, but not sure where it is at now. Thanks! I drove by the original location a couple weeks ago and the boulder was still there. Unfortunately, I don’t know where it will be moved to. I’ll try to find out! The boulder marking the site of the Big Mound was placed there by the National Society of the Colonial Dames of America in the State of Missouri and dedicated on May 18, 1929. The original inscribed plaque “disappeared”over the years, but has now been replaced. It reads: “This boulder stands near the site of the Great Indian Mound leveled about 1870 which gave to the City of St. Louis the Name Mound City. Placed by the National Society of the Colonial Dames of America in the State of Missouri 1929.” The circular bronze head of a Indian on the opposite side of the boulder, was made from a mold used for decorations on a government building at the Louisiana Purchase Exposition in 1904. Historic preservation, education and patriotism are central to the mission of the NSCDA.